Malacañang just released a list of all the regular holidays, special non-working days, and special holidays for 2012. 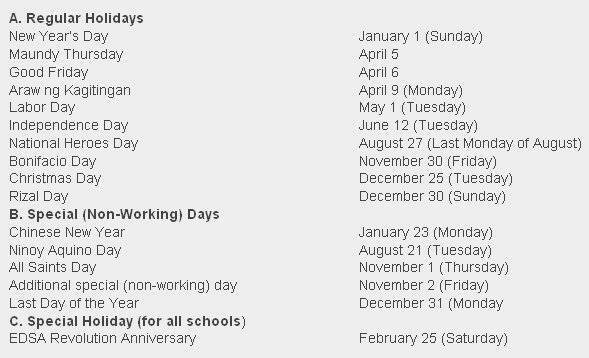 (SPOT.ph) Malacañang just released a list of all the regular holidays, special non-working days, and special holidays for 2012. For more on this story, log on to The Official Gazette of the Republic of the Philippines.